Photo Realism, a more recent off-shoot of Pop-Art, sticks to the appearance of the everyday world. The movement get its name from its fascination with camera images. The photorealist builds his picture on the photograph itself; it is his reality. 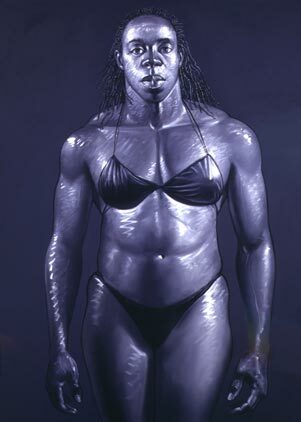 Photo Realism, a figurative movement that emerged in the United States and Britain in the late 1960s and 1970s. The subject matter, usually everyday scenes, is portrayed in an extremely detailed, exacting style. It is also called superrealism, especially when referring to sculpture. All artwork is copyright of the respective owner or artist. All other material © Copyright 2019 New York Art World.com. All Rights Reserved.